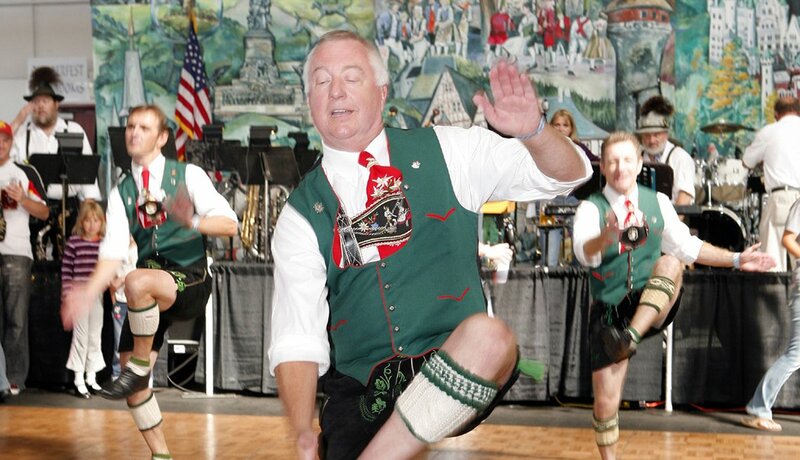 Have you always wanted to dance to an oompah-party band? Alpine Village — a German restaurant and market in the Southern California city of Torrance — celebrates Bavaria year round, so it’s well prepared to host this Oktoberfest frolic. 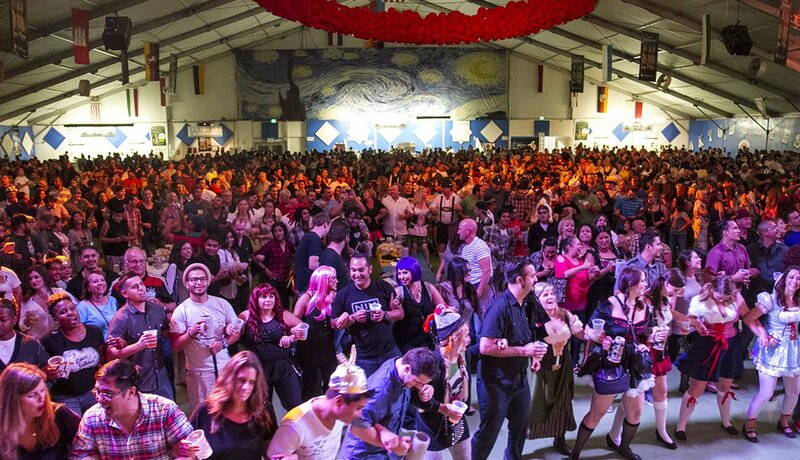 You won’t feel out of place in suspenders and Tyrolean hat, nor will you be the only one ordering a pint of classic German brew at the L.A. area’s oldest and largest Oktoberfest. There’s a chicken dance every hour, where revelers flap their “wings” to the tune that has become a German heritage anthem in the U.S. 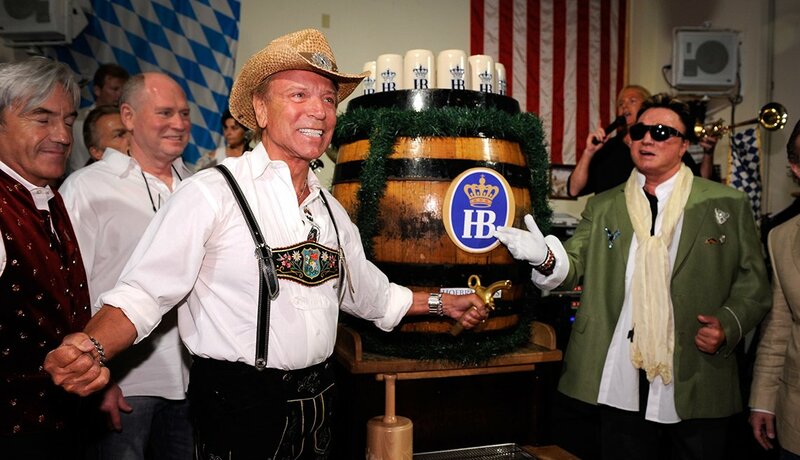 The word “traditional” seems to be fighting the phrase “Oktoberfest in Vegas.” Yet the city’s extended celebration is held in a building that’s a near replica of the original Hofbräuhaus in Munich, and the same brand of beer flows here as it does in the German city that started it all back in 1810. 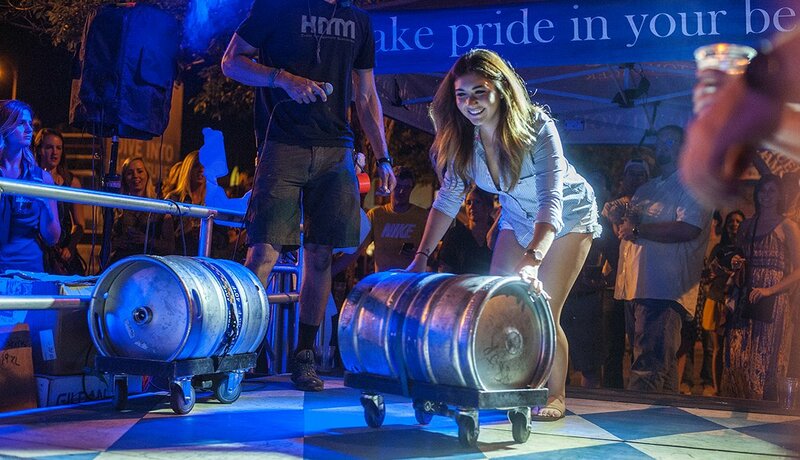 The festival kicks off Sept. 15 with a keg-tapping by German-born musicians Siegfried & Roy — the prelude to six weeks of sledgehammer competitions, stein-hoisting marathons, polka dancing, fresh-baked pretzels, Bavarian soup and vegetarian schnitzel. Is there a better place to sit back and enjoy an oompah band than scenic Pier 48 on Mission Bay? 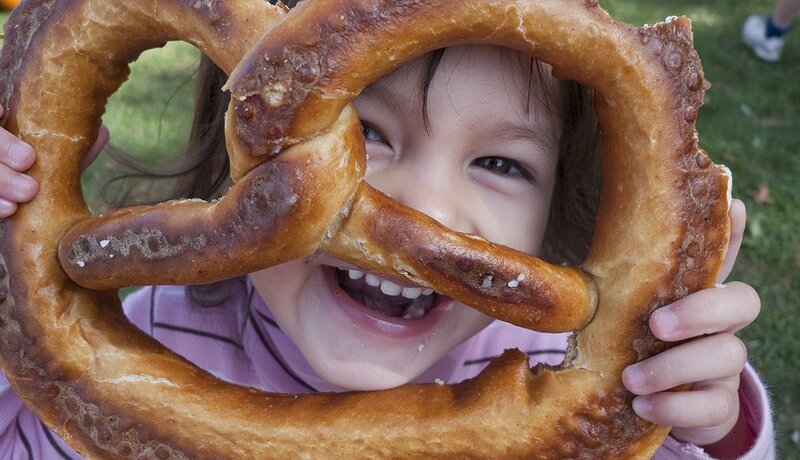 At Oktoberfest by the Bay, a 21-piece Bavarian ensemble sets the mood for nonstop dancing, beer tasting and “brat fests.” Traditional attire is encouraged, so dust off your dirndls and lederhosen. The festival is limited to those 21 and over during the evening hours, but kids are welcome to polka down during the day. Oktoberfest and autumn leaf-peeping make a perfect pair at Hunter Mountain, a Catskills resort three hours north of New York. 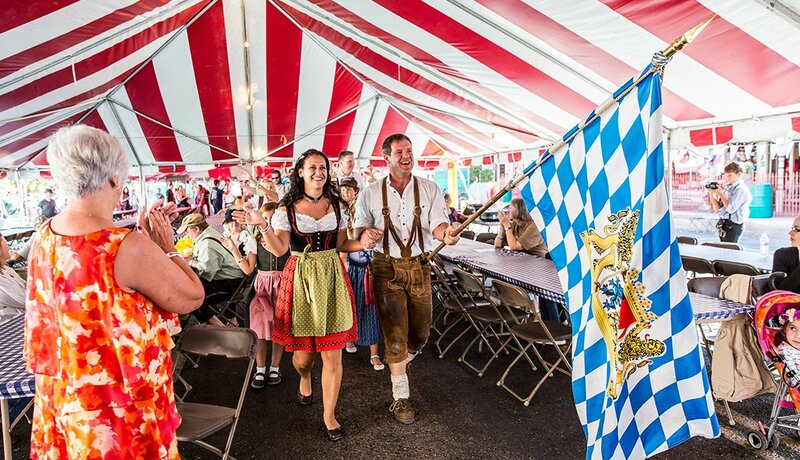 Held over four weekends, the festival invites you to sample all sorts of Oktoberfest traditions, from a “hoisting” competition —who can keep their beer stein raised the longest? — to keg-rolling obstacle courses, polka music and, of course, grilled brats and sausages. In the foothills of the Cascade Mountains two hours east of Seattle perches the Hansel-and-Gretel burg of Leavenworth, a city tailor-made for hosting Oktoberfest. Following the collapse of the local logging industry, Leavenworth took a cue from its alpine setting and remodeled its downtown into a Bavarian village. It then began hosting various Bavarian festivals, notably — since 1998 — an Oktoberfest held over three weekends. With bands and dancers brought in from Germany and beyond — to say nothing of German food and, of course, German beer — authenticity reigns. Getting in an Oktoberfest state of mind is easier when the state you’re in has mountains on every side. That’s certainly the case in the skiing mecca of Stowe, Vt., whose 21st annual Oktoberfest this year will include oompah bands, genuine Bavarian eats, dancing and Vermont-brewed beer. There are sing-alongs aplenty — Stowe is where the Trapp Family Singers (of Sound of Music fame) found a safe haven in 1942. And going back for seconds on suds should warm the cockles of your heart: Twenty local charities benefit from the festival. New Ulm has an Old World feel that makes it a natural for Oktoberfest (it was settled in the mid-19th century by German immigrants). A parade kicks off the festivities, followed by dancing, music and etwas zum essen (“something to eat”). 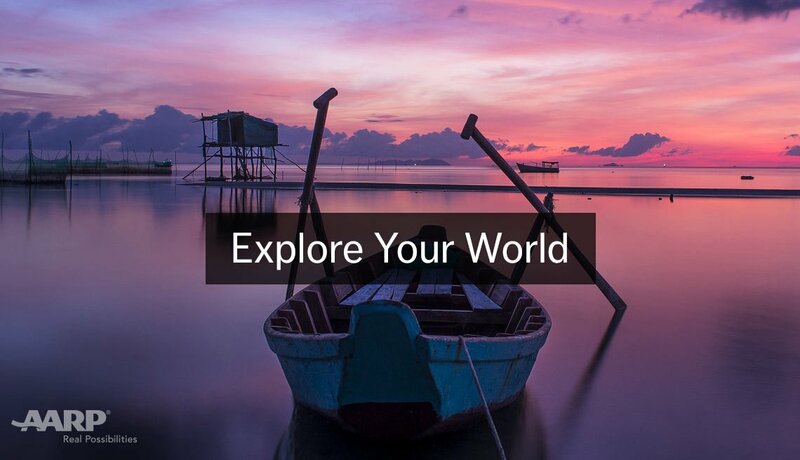 You can take a horse-drawn trolley ride or catch the keg-opening ceremony. 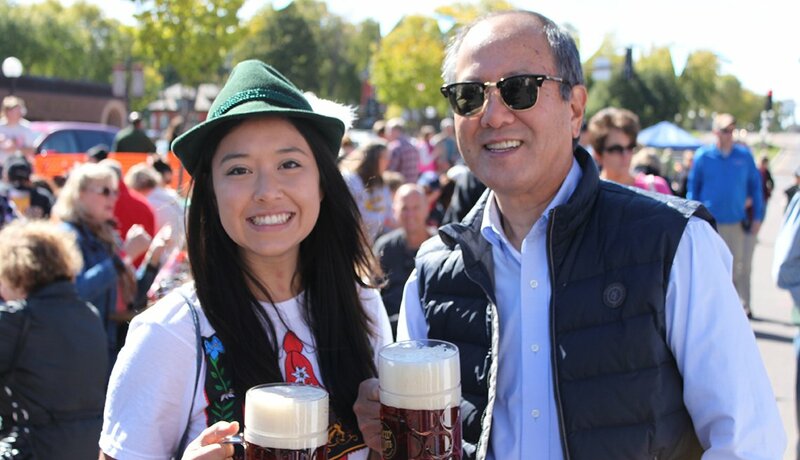 But what ultimately distinguishes this Oktoberfest is its beer: The town’s very own Schell’s Brewery has been fermenting German craft beer since 1860. You don’t want to stanch that tradition, do you? It started nearly 50 years ago with the tapping of a keg and a serving of pretzels and white radishes. Now it’s one of the country’s largest Oktoberfests, with 350,000 celebrants flocking to Denver’s Ballpark neighborhood for four days of music and dancing over two weekends. Audience participation being the essence of any Oktoberfest, you can try your hand at hoisting beer steins or brat eating. 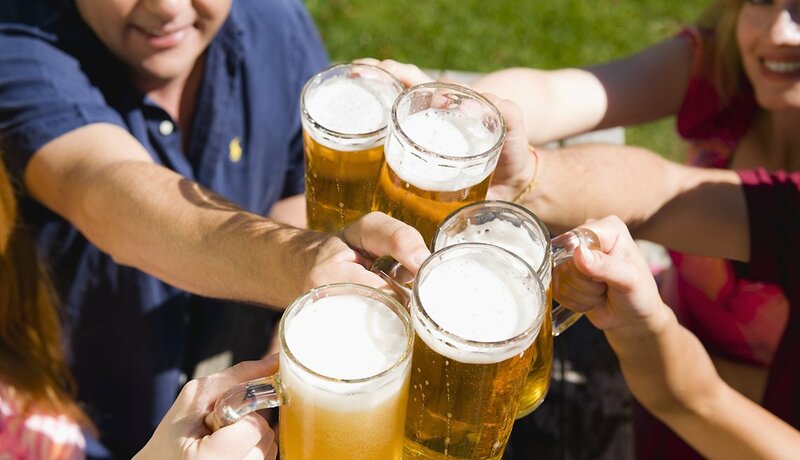 (For the best deals on brews, buy a stein for reduced-priced refills.) And pack your dachshund, if you own one: The fastest hound in various age categories wins the Long Dog Derby. PHOTO BY: Courtesy La Crosse Oktoberfest U.S.A.
La Crosse’s Oktoberfest U.S.A. has paid homage to Wisconsin’s rich German roots since 1961. 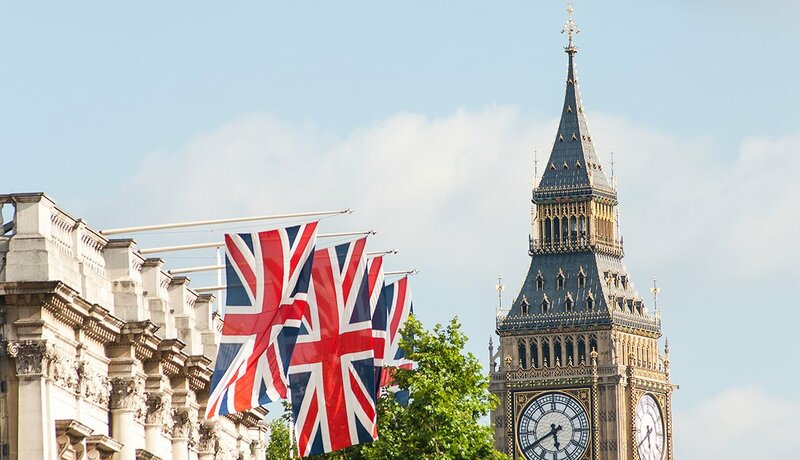 The fun here starts with the Festmaster’s Ball, featuring the presentation of the year’s new festmaster and frau. 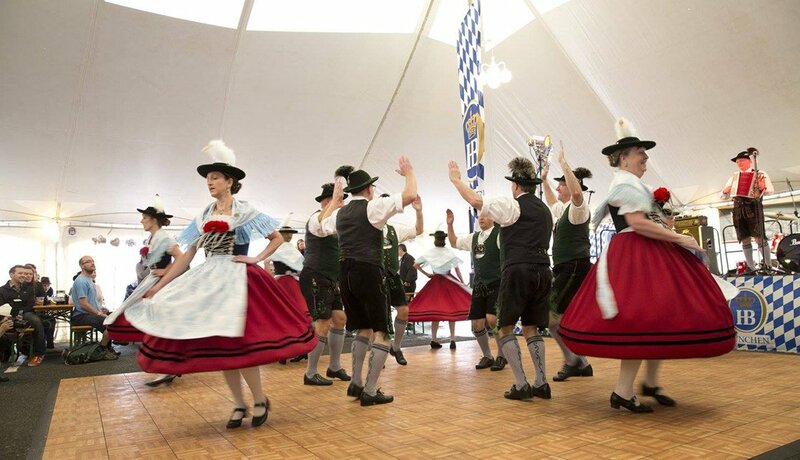 Other activities during the four-day event include a Miss La Crosse/Oktoberfest Pageant, a “lederhosen luncheon” (think traditional German food and song), parades, bands and an evening devoted to craft beers. Bring your appetite for brats and German chocolate cake, as well as specialties of the Midwestern midway. Deep-fried pickles, anyone? Expect a heaping dollop of Gemütlichkeit — German for “good cheer” — when you celebrate Oktoberfest in Fredericksburg, the town founded by a German baron in 1846. 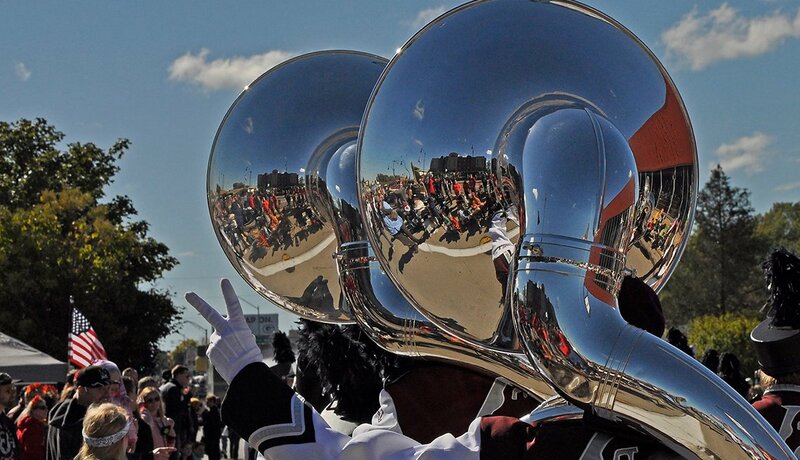 In addition to the expected craft booths, oompah music and chicken dance (hold hands and move to your right, everyone), this festival includes OktubaFest, starring guess which brass instrument? There’s also a “Texas 42” tournament — a variant of dominoes invented in the town of Garner — and plenty of sausage on a stick, curry wurst, potato pancakes and schnitzel burgers with kraut. And possibly some beer.